The committee would like to wish all members and their families a lovely Christmas and a fantastic 2017. See you all again at our next meeting on 25 January with some much needed mindfulness! This month’s seasonal meeting is tomorrow, Wednesday 20 December, 7.30 pm. Do bring some food for a Dutch supper, plus glasses and your favourite tipple to share. We’re planning a fun, relaxing evening to help you get into the Christmas mood: singing, a short seasonal quiz and the draw for our Christmas raffle. 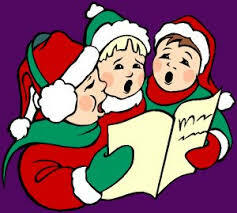 MHWI is hosting the Welland Group of WIs’ Carol Service this evening, 7.30 in the Congregational Church. Seasonal bakes very welcome. Just a reminder that this is Wednesday 21 December, just in time to get you into the Christmas mood. We look forward to seeing you this evening at the Book Club in the top lounge in the Angel Hotel, High Street, Market Harborough, 7.30 to 9.30 pm. This month’s genre is thrillers and we have been reading The Couple Next Door by Shari Latina. Don’t worry if you haven’t finished the book, still come. News members welcome. December is upon us and there’s loads to do. However, if you can do some seasonal baking for the Carol Service that MHWI is hosting for the Welland Group on Thursday 8 December 2016, 7.30 pm. All members very welcome. The service will be held at our monthly meeting venue, the Congregational Church. Seasonal refreshments afterwards.